I am routinely bodybagged by the price of tri-ply cookware. Like, I know that it is really much better. Bonding three different layers of aluminum and stainless steel definitely improves the efficacy of pots and pans. But there are so many other things I would rather buy with $400. At $200, though, it’s an entirely different story. Today only, an eight-piece set (including lids) is 50 percent off. Not that you need any assurances with tri-ply, but you know Cuisinart is a brand you can trust. 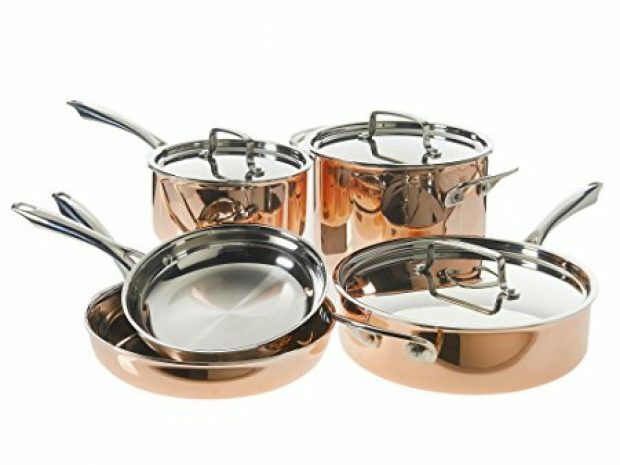 The set comes with a 2.5-quart saucepan, a 4-quart sauté pan (with helper handle), 6-quart stockpot, 8-inch skillet and 10-inch skillet. All things that you could use to improve the quality of your kitchen.